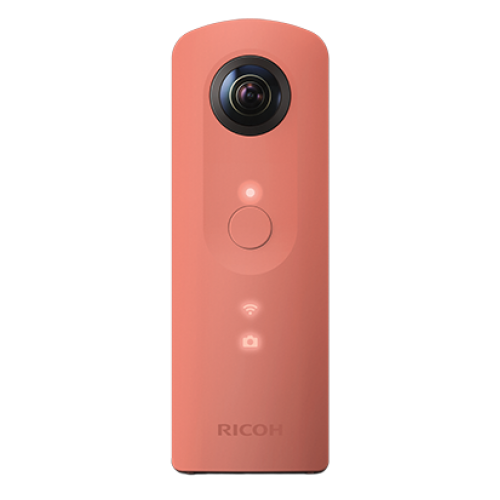 Capture and share life's epic moments in immersive 360° photos & videos with the Ricoh Theta SC. Experience high image quality with high-precision stitching technology that delivers an astonishing 360° experience. 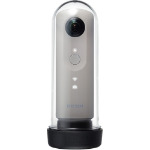 The slim, lightweight design makes this an ideal 360° camera for portability and is easy to handhold without the use of additional accessories, while the dual fish-eye lenses capture all of your surroundings with a simple push of a button. The 1/2.3-inch image sensor gives you approximately 14 megapixel output. The bright F2.0 lens provides exceptional low light shooting capabilities, and the ability to shoot in Manual Mode by setting shutter speeds up to 60 seconds. A number of optional shooting modes are available, including: DR Compensation, Multi-shot noise reduction, and HDR composition. Capture up to 5 minutes of Full HD 360° video, which can then be transferred and viewed directly on to your mobile device or uploaded directly to social media sites such as FacebookTM to share with friends and family. 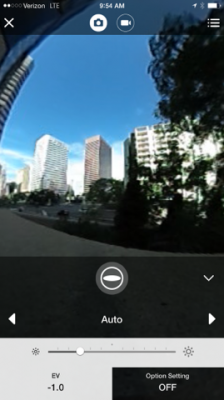 The new and improved intuitive user interface makes capturing, viewing and sharing fully spherical imagery a snap. 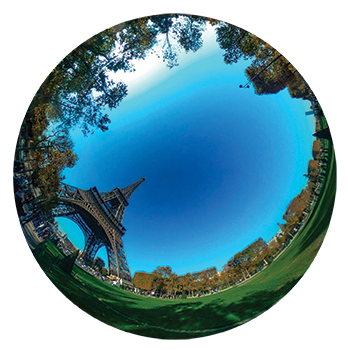 Create and share little planet images effortlessly with the dedicated Theta+ App or edit, add filters and background music to your 360° videos with the Theta+V App. 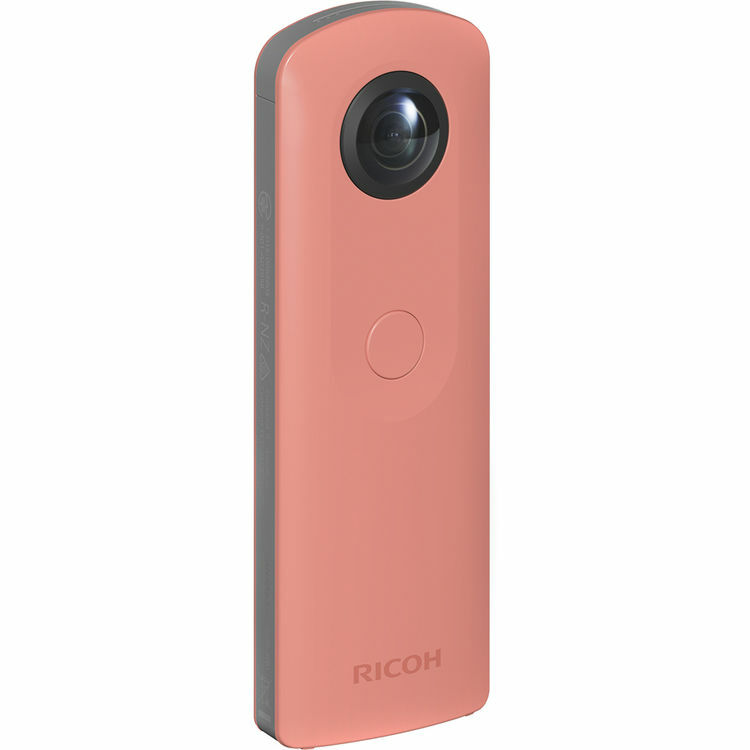 The Ricoh Theta SC is compatible with iOS & Android devices, and comes in a range of stylish colors. 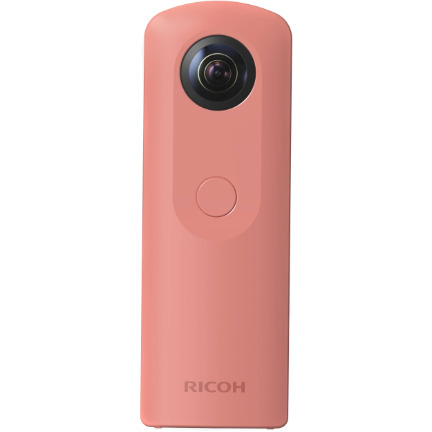 The RICOH THETA SC is equipped with an LED indicator on its front panel for at-a-glance confirmation of the current mode, and a still-image/video switching button on the side panel. Users can operate the camera smoothly, even when it is disconnected from a smartphone or tablet. The built-in memory can store up to 8GB. 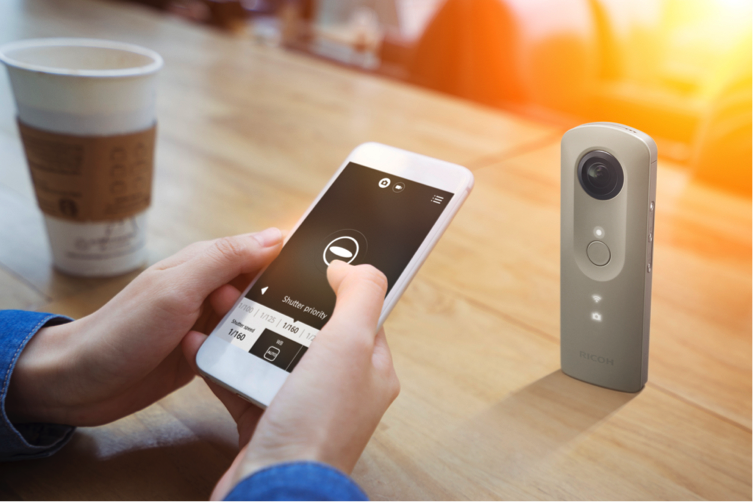 The Theta Apps allow for easy shooting and sharing of your spherical images and videos. From the Apps, you can capture still images and videos, employ full command and control over various shooting modes, and share your spherical images and videos directly to social media. Use the THETA+ App to edit 360°C images and export images for printing. Use Theta+ Video App to trim, add filters and background music to 360° videos. 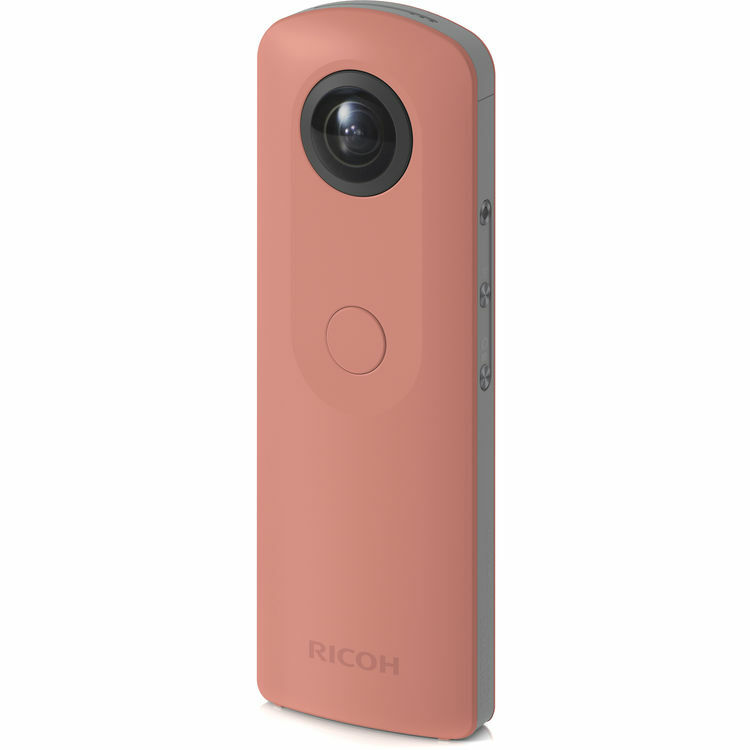 The RICOH THETA SC delivers high-resolution, fully spherical images with an approximately 14.0 effective megapixel output, thanks to the combination of the bright, large-aperture F2.0 twin-lens folded optics and a large image sensor. Together they capture beautiful 360-degree images with minimal noise, even when shooting night scenes. Capture up to five minutes of high-resolution, fully spherical video at Full HD quality (1920 x 1080 recorded pixels, 30 frames per second) Effortlessly create flawless videos on a smartphone or tablet computer, without the need of a personal computer. Easily change the image size, shape and composition of videos with simple fingertip operation. Use the dedicated THETA+ Video image-editing application, to easily edit captured videos. 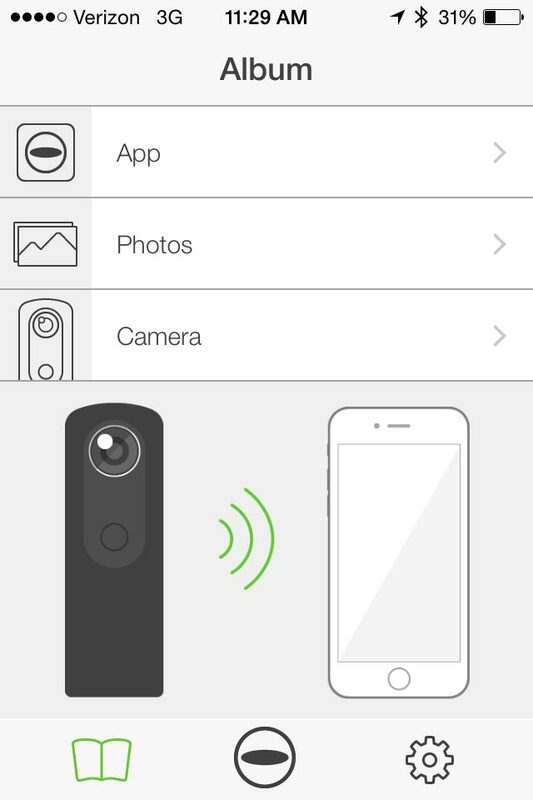 THETA+ Video application operates on iOS8.0. or later, or Android 4.4 or later. Proper operation is not guaranteed with all mobile devices. The completely redesigned user interface for smartphones and tablets provides intuitive operation, allowing users to easily make adjustments, change settings, upload images and much more. 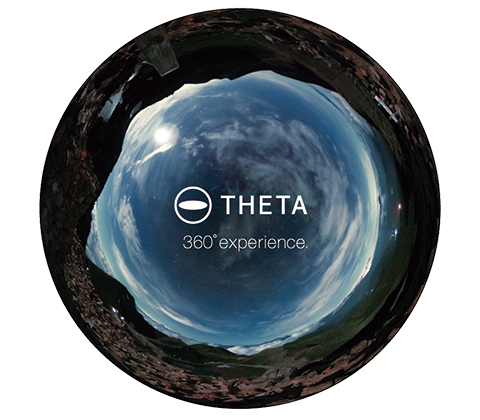 Upload captured spherical images to the theta360.com dedicated website, then share them on social networks such as Facebook, Twitter, Instagram and Tumblr. It is also possible to submit captured videos to 360-degree channels such as Google Maps, Google+ and YouTube. When synchronized with a smartphone or tablet, the Live-view display (still images only) on the device's monitor allows you to check the outcome of various setting changes on the screen during shooting. 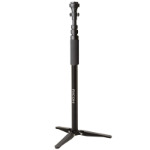 The camera provides a choice of two display modes: Full Screen and Panorama. 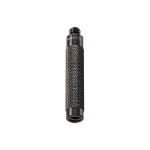 Lithium-ion battery (built in) – (Charge the battery by connecting it to a PC using the supplied USB cable).